An addition to the Greater Bartow Chamber of Commerce website is CAPITAL CITY TODAY, a feature to provide locals with news of Bartow. 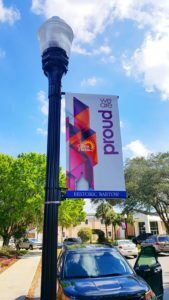 Feel free to submit articles that promote community pride, because we all are very proud of our City. Have some news for the Community? CAPITAL CITY TODAY – a news blog in which organizations and individuals may submit news “fit to print,” in order to keep our community informed of what’s happening in Bartow. News may include anything from a new baby in the family to church concerts and plays to civic club events. CHAMBER AND CITY-WIDE COMMUNITY EVENTS on home page, with links to dedicated informational pages. For more information about the new website, or how to submit an article, email the Chamber, or call 863-533-7125.